Georgina Laud, a journalist for Express, noted the fact that Kate went on her maternity leave on March 22, 2018, and she gave birth to Prince Louis on April 23. 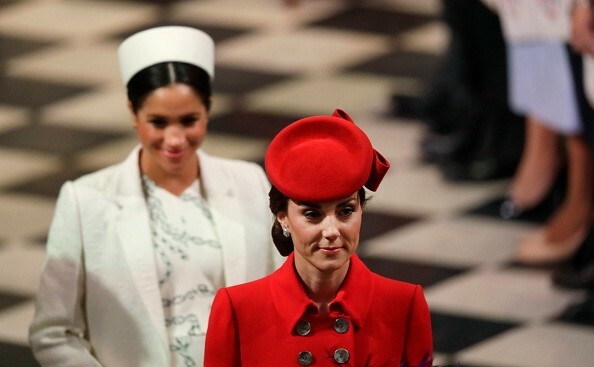 If Meghan followed Kate’s lead, this could mean that her baby will be born on April 21. Rumors are ripe that Meghan will actually give birth on Easter Sunday this year, and her baby could also share the same birthday with Queen Elizabeth II. However, there are also some factors that could suggest that Meghan won’t give birth on the said date. Laud noted the fact that Prince Louis is Kate’s third child with Prince William, while Meghan is just about to give birth to her first child with Prince Harry. According to Live Science, first babies have 15 to 16 percent chance of being born much later than their siblings. Meanwhile, bookmaker Ladbrokes is confident that Meghan would give birth at the end of April. Spokesperson Alex Apati said that late April is looking extremely likely at the moment, but a May birth is still a possibility. April 11 and 12 are currently at 12/1 odds, while April 13 to 15 are at 10/1. The odds for a royal birth between April 16 and 19 are at 8/1, and an April 20 to 21 birth date is at 7/1. During a previous engagement, Meghan told royal fans that she will give birth at the end of the month or the beginning of May. However, it seems that this is the only detail that the Duchess of Sussex has shared about Baby Sussex. As of late, it is still unclear where Meghan will give birth. There are rumors that she could opt for a home birth, and some royal fans are convinced that she won’t give birth at St. Mary’s Hospital’s Lindo Wing. Meghan’s baby’s name still hasn’t been announced. Royal fans are also unsure if she will have a baby girl or a baby boy.